Mr Lee spent 36 years in the Singapore Administrative Service (Foreign Service Branch), during which he served as Singapore's High Commissioner in Brunei Darussalem (1984 to 1990), Ambassador to the Philippines (1990 to 1993) and Ambassador to Indonesia (1994 to 2006). Mr Lee was awarded the Public Administration Medal (Silver) in 1996, the Long Service Medal in 1997, the Public Administration Medal (Gold) in 1998 and the Meritorious Service Medal in 2006 by the Singapore Government. In 1993, the Philippines Government bestowed on him the Order of Sikatuna, Rank of Datu (Grand Cross). In 2007, the Indonesian Government awarded him the highest civilian honour, the Bintang Jasa Utama (First Class). Mr Lee has spent the last 13 years since his retirement from the diplomatic service as an independent director of some listed and non-listed companies. Mr Lee holds a Masters of Arts degree from Cornell University. 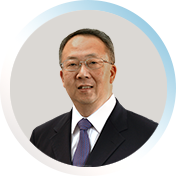 Mr Lim is presently the President and CEO of United Industrial Corporation Limited. 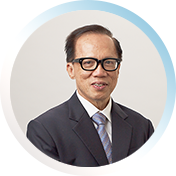 He is also the Non-Executive Chairman and Independent Director of Gallant Venture Ltd. Mr Lim started his career in 1966 with the then Inland Revenue Department of Singapore. He became an Accountant at Mobil Oil Malaya Sdn Bhd in 1967 before joining the Port of Singapore Authority in 1968, where he served in various management positions. 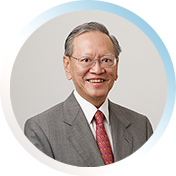 From 1975 to 1992, he was with the Civil Aviation Authority of Singapore and held the position of Director-General. Mr Lim has a Bachelor of Accountancy degree from the then University of Singapore, a Master of Science (Management) degree from the Massachusetts Institute of Technology and attended the Advanced Management Program at Harvard Business School. He is a Fellow of The Chartered Institute of Management Accountants (UK) and a Fellow and past President of the Institute of Certified Public Accountants of Singapore. He is a recipient of the Singapore Government Meritorious Service Medal, the Public Administration Medal (Gold) and the Public Service Medal. Mr Wakeford is the President Director of PT SIMP and PT Lajuperdana Indah, and Director of Lonsum and CMAA. He started his career with Kingston Smith & Co, a Chartered Accounting firm in London, England. Mr Wakeford has been in the plantation industry since 1993, working with plantation companies in Indonesia, Papua New Guinea, Soloman Islands and Thailand. He started his plantation career in Indonesia as the Finance Director of Lonsum in 1993, before moving to Papua New Guinea as the CFO of Pacific Rim Plantations Limited (PRPOL) from 1995 to 1999. 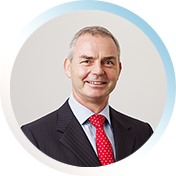 In 1999, Mr Wakeford became CEO and Executive Director of PRPOL. PRPOL was sold to Cargill in 2005, Mr Wakeford spent one year with Cargill, before joining the Company in January 2007. He became CEO of the Company in August 2007 and is concurrently a member of Rabobank's Asia Food and Agribusiness Advisory Board. Mr Wakeford was trained and qualified as a Chartered Accountant in London, England. He also attended the Senior Executive Programme at the London Business School. Mr Tjang is a Director of PT Indofood Sukses Makmur Tbk since 2009, where he heads the Plantation Division. He is concurrently a Commissioner of PT Indofood CBP Sukses Makmur Tbk, Vice President Director of PT SIMP and President Commissioner of Lonsum. He started his career in 1984 with Drs. Hans Kartikahadi & Co., a public accounting firm in Jakarta. Before joining the Plantations Division of the Indofood Group as CFO, he has held various management positions in the Plantations Division of the Indofood Group and Salim Plantations Group. Mr Tjang was awarded a Bachelor of Accountancy degree from the University of Tarumanagara, Jakarta, a Bachelor's degree in Management and a Master of Science degree in Administration & Business Policy from the University of Indonesia. He is a registered accountant in Indonesia. Mr Suriady is a Director of PT Indofood CBP Sukses Makmur Tbk since 2009, where he heads the Snack Foods Division. He concurrently serves as Director of PT SIMP. He began his career with an automotive battery distributor, PT Menara Alam Teknik at Astra Group and moved on to join consumer goods manufacturer, Konica Film and Paper. Mr Suriady was awarded a Master of Business Administration from De Montfort University in the United Kingdom. Mr Tjhie is a Director of PT Indofood Sukses Makmur Tbk, where he supervises all financial operations of the Company and heads the Corporate Secretary Division. He is concurrently Director of PT Indofood CBP Sukses Makmur Tbk. He is also the President Commissioner of PT SIMP. He was previously a Director of Lonsum and PT Indomiwon Citra Inti, as well as Senior Executive of PT Kitadin Coal Mining. Mr Tjhie was awarded a Bachelor's degree in Accounting from the Perbanas Banking Institute in Jakarta. Mr Axton Salim is a Director of PT Indofood Sukses Makmur Tbk since 2009. He is also a Director of PT Indofood CBP Sukses Makmur Tbk, where he heads the Dairy Division. He is concurrently a Commissioner of PT SIMP and Lonsum and Non-Executive Director of Gallant Venture Ltd. He also serves as Global Co-chair of Scaling Up Nutrition (SUN) Business Advisory Group and Director of Art Photography Centre Ltd.
Mr Salim was awarded a Bachelor of Science in Business Administration from the University of Colorado, USA. 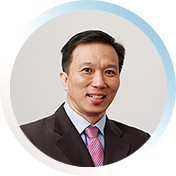 Mr Goh is an Independent Director of AsiaMedic Limited and HL Global Enterprises Limited. 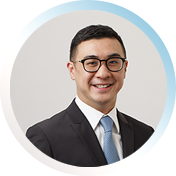 Mr Goh started his career as an audit trainee with Goldblatt & Co (UK). 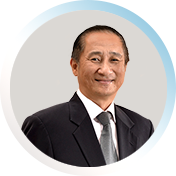 He joined American International Assurance Pte Ltd in 1981 as an Accounting Supervisor. 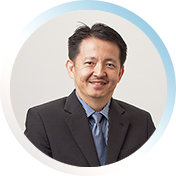 In 1982, he became a Regional Internal Auditor in Mobil Oil Singapore Pte Ltd and rose to the position of Regional Credit and Insurance Manager in 1987. In 1990, he was seconded to Mobil Petrochemicals International Ltd where he served as Regional Accounting Manager and later, as the Controller of the Asia Pacific region till 2000. Mr Goh was the Regional Vice President & Controller as well as an Executive Director of John Hancock International Pte Ltd from 2000 to 2004. He was a Consultant at the National University of Singapore's Centre For The Arts from 2005 to 2018. He was also an Independent Director of China Minzhong Food Corporation Limited from 2013 to 2017. Mr Goh has a Bachelor of Arts (Hons) degree in Accounting and Economics from Middlesex University, United Kingdom. Mr Susanto is an audit committee member of PT Indofood Sukses Makmur Tbk, PT Indofood CBP Sukses Makmur Tbk and Lonsum. He began his career as an Account Relationship Manager of Standard Chartered Bank's Corporate Banking division in 1990. He joined PT BNP Lippo Leasing in 1993 as the Head of the Corporate Marketing division. In 1996, he joined PT ING Indonesia Bank as Vice President in the Project and Structured Finance division and was subsequently promoted to Director in the Wholesale Banking division. Mr Susanto also acted as the Chief Representative of ING Bank N.V. in Indonesia until 2005. Mr Susanto has a Bachelor of Computer Science degree and a Master of Commerce degree from the University of New South Wales, Australia.